As fewer and fewer retail shops carry a broad range of digital cameras, it is nowadays often difficult to compare their size. This is where the CAM-parator app comes in. It gives you an easily accessible impression of the proportions of any two cameras. To launch the size comparison, just use the search boxes to find and select two cameras (or scroll down to the bottom of the page for direct links) and you will promptly see an illustration of the relative width, height, depth and weight of your choices, as well as a comparison of key specifications. There are three side-by-side camera-views from different perspectives as illustrated in the example below: from the front, the top, and the back. All size-dimensions are rounded to the nearest millimeter. When interpreting the camera size comparisons, it is important to compare like with like, or at least to keep some fundamental differences between camera-types in mind. For example, a compact camera is measured with its built-in lens, while the dimensions and weight of an interchangeable lens camera are reported without any lens attached. Also, some cameras come with an integrated viewfinder, while others offer clip-on accessory finders that are left out of the size and weight determinations. Similarly, some professional DSLR have a battery grip permanently built into their body, while for other cameras the grip is an optional accessory that is not included in the measurement. The physical size and weight are among the most important specs when choosing between different cameras. You don't want to lug around a bulky brick all day that wears you down and does not easily fit into your bag. On the other hand, you neither want a flimsy toy that offers mushy controls and is too small to operate confidently. Of course, personal traits and preferences vary and what appears as a large camera in one person's hands might provide a perfect fit for another photographer. Conversely, a more compact camera whose buttons and dials can be efficiently used by one person might turn out to be too error-prone for somebody else's taste. 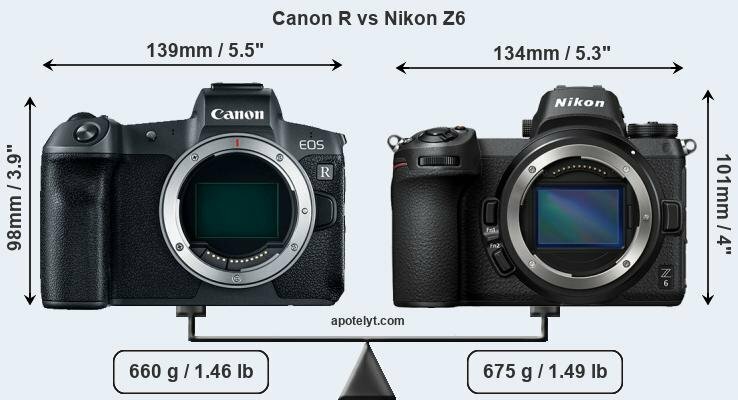 So, no, smaller is not always better and it is important to see a camera's body specifications in relation to one's own physical characteristics when making a camera decision. How is camera size measured? The Camera and Imaging Products Association (CIPA) provides clear guidelines to its members on how the size and weight of cameras is to be measured and reported. In particular, the width, height, and depth of the camera body should be determined without protrusions, such as strap lugs, eye cups or hotshoe brackets. Weight is to be measured for the camera being fully operational, which means that the regular battery and the manufacturer-recommended storage medium are included in the reported figure. All cameras are assessed without any easily detachable accessory. The camera market is highly diverse, with different-sized imaging tools vying to serve the differing needs of casual, enthusiast, and professional photographers. Below is a selection of camera size comparisons that other users of the CAM-parator tool explored. Just follow any of the links to go directly to the respective side-by-side display.